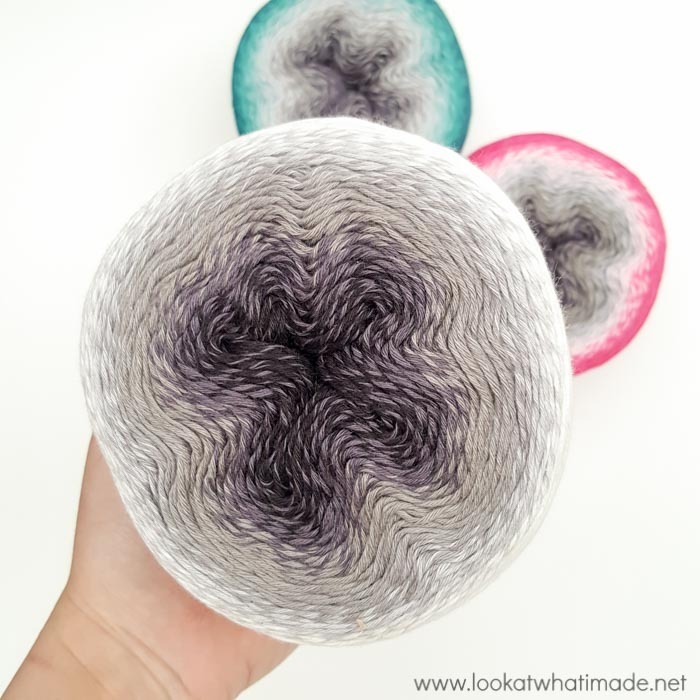 I have walked around with hearts in my eyes ever since I first saw a sneak peek of the new Scheepjes Whirl. I couldn’t wait to get my hands on a cake (or three)! I will admit that I shoved everything else aside as soon as the yarn arrived and have been playing (and playing, and playing) with it for the last ten days. It has jolted me into a much-needed creative frenzy. I chose…wait for it… Green Tea Tipple, Raspberry Rocky Roads, and Liquorice Yumyum. Aren’t those names just perfectly delicious? The yarn itself is every bit as delicious as the names. That sounds a bit odd. I haven’t actually eaten any of the yarn (that would be weird), so let me rephrase: The yarn is every bit as scrumptious as the names. 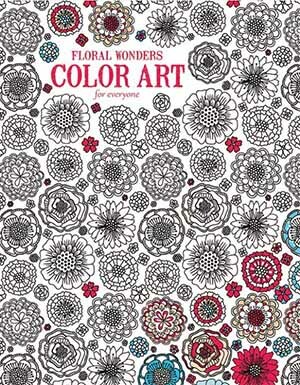 Whirl is made from 60% cotton and 40% acrylic. When worked up, it feels substantial without feeling heavy, and it has a beautiful drape. Each yarn cake holds a staggering 1000 meters of slow colour change yarn. The drape and the yardage make this yarn perfect for lightweight shawls, wraps, and garments. 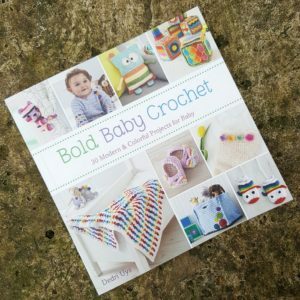 Oh, and baby blankets! 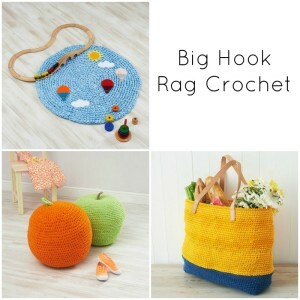 Imagine how beautiful a summer baby blanket would be in one of these colours! 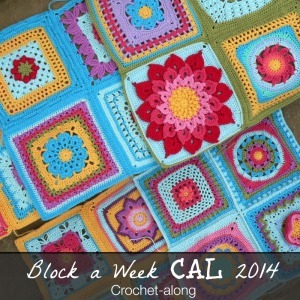 The colour changes have been carefully joined so that you can ‘hide’ the joins in your stitches. It took me a good few minutes to locate a join so that I could show you. My favourite thing about the yarn is the fact that it has a generous twist to help prevent splitting. Although I have always (always!!) loved gradient yarns, I did not like working with them because of how easily they split, especially if your tension is as tight as mine. I have encountered minimal splitting with the Whirl so far, so I am delighted! At the moment, I am working on something in Green Tea Tipple. 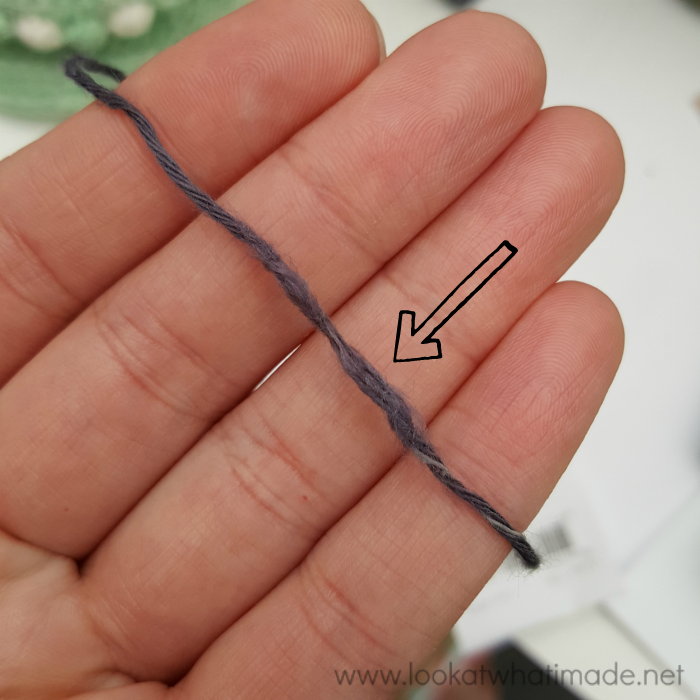 Although the yarn label recommends a 3.5 – 4 mm hook, I found that I needed to use a 3.25 mm hook to obtain a neat tension… not too tight and not too ‘holey’. Look how beautifully the Green Tea Tipple and the Liquorice Yumyum match my shelf full of Sophie books! The yarn is available in 12 gorgeous colourways. I think it’s pretty obvious that my favourite one is the Green Tea Tipple. My favourite two names are Strawberries & Scream and Caramel Core Blimey, although Pistachi Oh So Nice is pretty cool too :) Whoever got to choose these names must have had SO much fun. 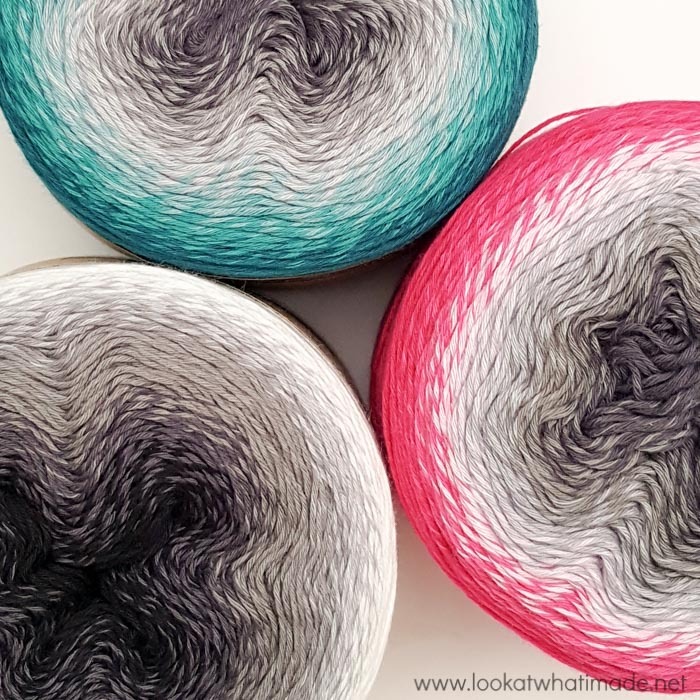 You will be able to buy Whirl from WoolWarehouse (Internationally) and other Scheepjes retailers from March 6, 2017. 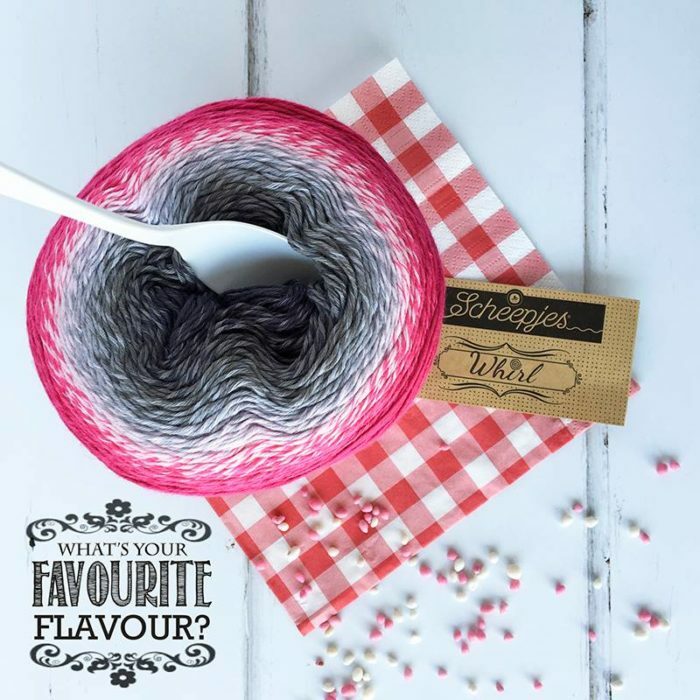 I cannot wait to start seeing photos of the projects that will be born from these yarn cakes :) So… which one is your favourite flavour? Hi Dedri ! I love your work ! You said you had to restart your project. Will it still be squares ? I can’t wait seeing your work even the beginning or the swatches you don’t like ;) . 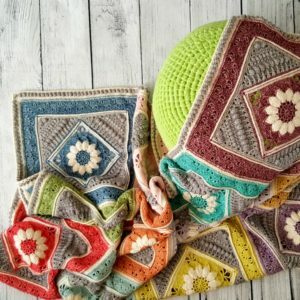 I’m searching for patterns or ideas with this yarn a little bit different from what I usually see (shawl or blanket from the center to the edges). Thank you !! Hi :) I am going to restart that project soon, so don’t want to give too much away. It is a mix of squares and…. 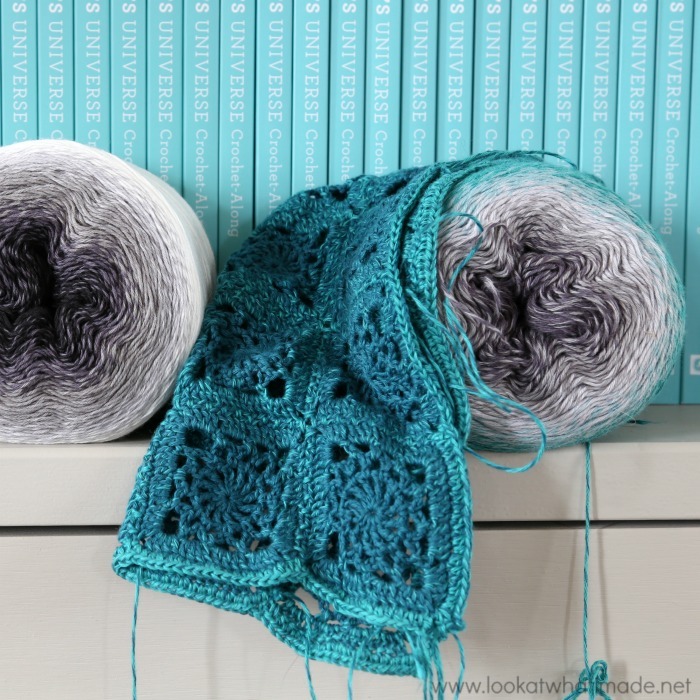 things :) Have you seen the Maestrale shawl? That’s really pretty. Hi Dedri. I’m just browsing tru your blog to see how you are doing. I do hope you are OK! I’m curious about what you made withe the Green Tea Tipple-Whirl..
Hi Simone. 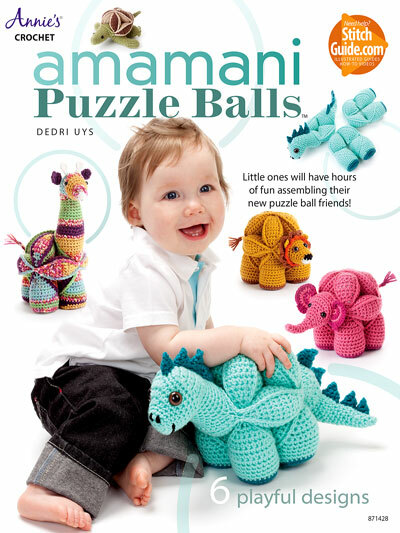 I believe Dedri is still working with that yarn, so watch this space! Hi :) I had to restart this project, so I lost my temper with it a little bit. 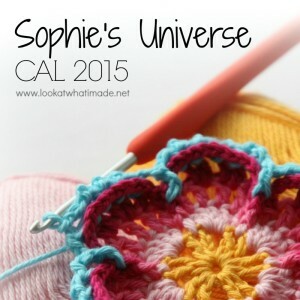 I will revisit it soon, though :) The Whirl Sophies look amazing! Do you know what? I wouldn’t be scared to just start a project. 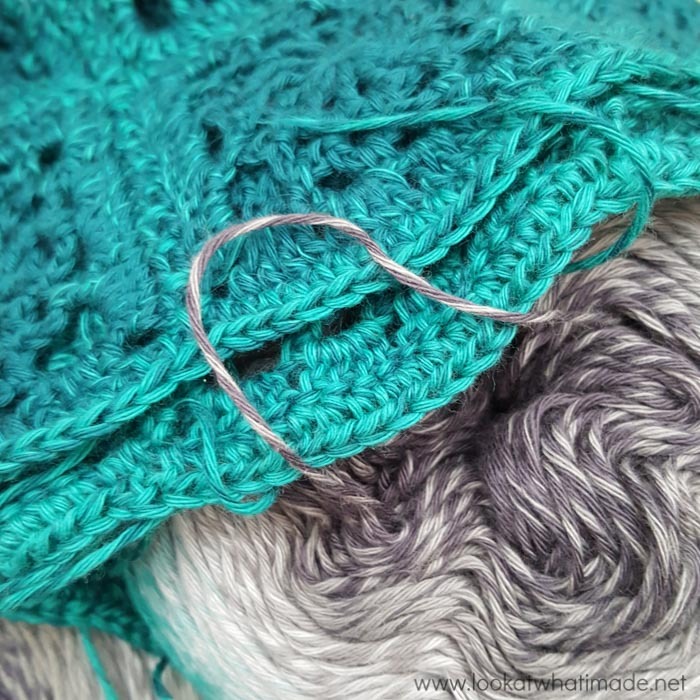 Is there a specific shawl you have had on your list for ages? Why don’t you just start it? I can almost guarantee that it will look great. 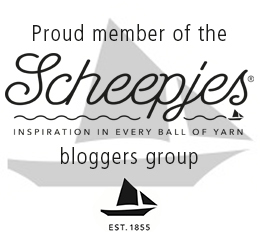 Dear Dedry, I live in Italy and I love your blog and your project, I would tell you that finally I found Scheepjes yarn also in Italy from coloridilana.it, I’m very happy for this, so now I can do all your best project! Dedri, I am such a fan of yours. And I would love to try this new yarn, Lavenderlicious, Rasberry Rocky Roads, and Blueberry Bambam, are my first loves. I am making a Hugge in the Jewel and the bright. One for me and one for my dear friend. Thanks Dedri, worked perfectly this time! Deb (or do you prefer Debra? ), the yarn is quite yummy. 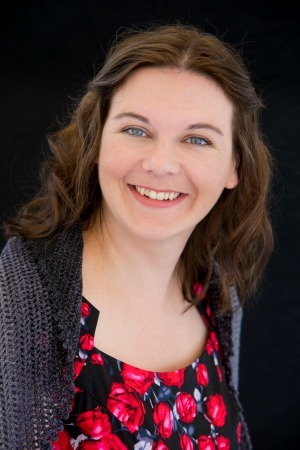 I just had the privilege of spending a day with Esther from It’s All in a Nutshell and she is also making something with Whirl. I have project-envy! Please don’t be upset. We are all on a journey of discovery and I am discovering how to wind down. It has taken quite a while to realize that being busy is not how I measure my worth, so now I suppose it is going to take me just as long to figure out how to STOP being busy. Have you ever watched the first Lego movie? They have this song: “Everything is awesome!” I just had the weirdest desire to sing it out loud. Greetings, Dedri. 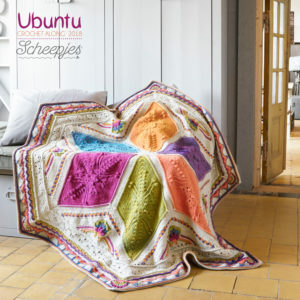 Just wanted to let you know the link for the Scheepjes seems to be broken unless I have to wait till March 6th. I just wanted to visit the sight but it would not go through. They do look delicious though! BTW there is nothing really at my site I havent figured out how to do it all yet. Green tea and Cherry pie……. Does it get any better than that? 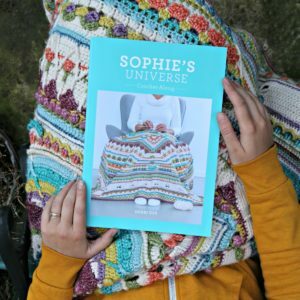 Sophie in Green Tea may have to happen when I get my book! Oooh, I’d love to see that! I think it would work really well. It will be small though. 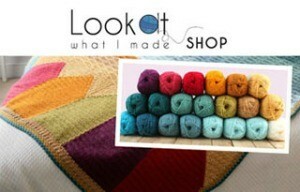 What simply gorgeous looking yarns! 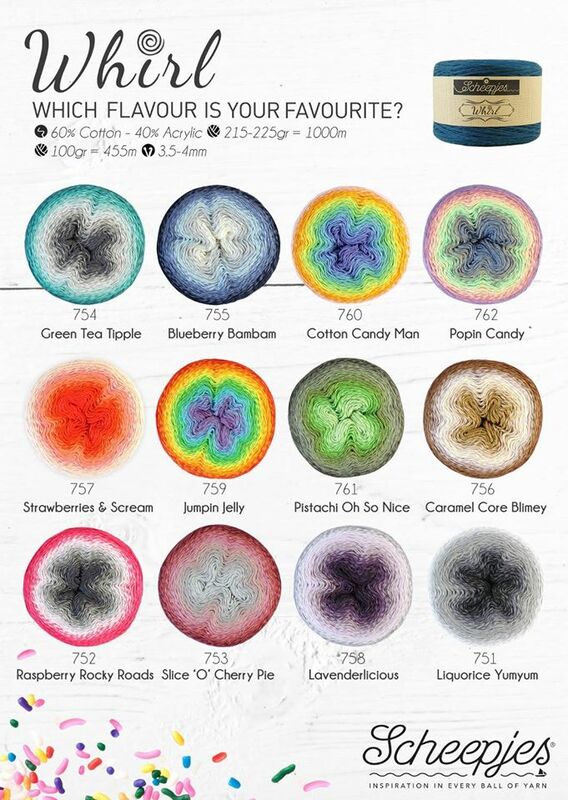 My favourites are: Blueberry BamBam, Cotton Candy man and Jumpin Jelly!